The Teatime Reader | Reviewing a good book every week. Updates on Thursdays. Reviewing a good book every week. Updates on Thursdays. Claudia lives in a house where every puzzle box is missing a piece, all the towels are frayed and the wallpaper border is curling at the edges. Her kids, Wesley and Joan, mash banana into everything and wear mismatched socks. Claudia has a complicated relationship with her kids’ father; you can’t really be divorced to someone you never married in the first place, but the air is filled with awkwardness when he visits anyway. Her life is messy. Claudia’s organized and responsible brother Dan surprises their mother with an impromptu birthday trip to Cuba, the kind of trip she’s always dreamed of. Dan beams with pride, their parents are overjoyed, and Claudia shrinks into the shadows. But when their mother dies suddenly on the trip and their dad falls to pieces, it’s Claudia who welcomes her broken father into her messy life and figures out a way to help him move through the grief. A surprising, tender, and wry look at family life, Roost will appeal to readers of Miriam Toews and Jessica Grant. When Hope Plett was growing up in rural Manitoba during the 1930s and 1940s, she didn’t expect an extraordinary life. She was pretty without being beautiful, smart without being brilliant, and generally well liked by the people in her community. Her parents were different; her mother was a reader and her father an alcoholic in a town that favoured industry and sobriety, but Hope herself was relatively conventional. Other than a brief engagement that ended when her fiancé died in a plane crash, her life was ordinary, and its ordinariness suited her just fine. Until it didn’t. Fast forward to 1960, and Hope is married to the steady, sensible Roy Koop. They have a comfortable home, three children, and another baby on the way. Life should be good, but Hope feels as though she is buckling under the fatigue brought on by the constant demands of a young family. Her friend Emily has read The Feminine Mystique and is contemplating leaving her husband, but Hope doesn’t think that’s the right solution for her. Neither is taking a nap in a field with a crying baby locked in the car, but Hope is desperate for some rest, and her reckless action guarantees her some peace. The Age of Hope follows Hope through her conventional girlhood, harried motherhood, and into a soul-searching period where Hope learns to be comfortable in her own skin again. It’s a common enough path for many women, but not often written about with as much complexity and avoidance of overwrought drama as here. 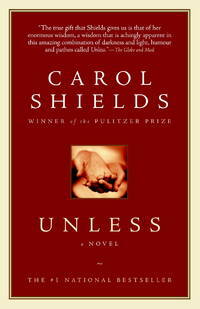 Bergen’s novel will hold strong appeal for readers of Carol Shields and Alice Munro. It’s summer, and in summer I usually reread some of my favourite stories from childhood, outside in the gazebo if at all possible. It slows life down for me, if only for a few hours, and brings me back to the time I first discovered my love of reading. It feels like a gift and puts me in a mood for giving, so what better time for another contest? In 100 words or less, tell me about a book from childhood that you loved, and you’ll enter a contest to win a very nice edition to add to your home library. Contest closes August 22. Life for Baby was never boring. Right before she was about to turn twelve, her father Jules flew into a panic because somebody from out of town was coming to pick up his guitars. Jules didn’t have the guitars anymore; he had sold them, presumably so he could buy some heroin, and this guy from Oshawa would likely break his legs. So Jules did the only thing that made any sense. He and Baby grabbed a few things from their damp, musty apartment and ran into the streets of Montreal. By now, this was getting to be normal life for Baby. This is what happens when you have no mother and your father is a drug addict who is just fifteen years older than you are. Jules loves his daughter but lacks the capacity to take care of her. He leaves her alone frequently for extended periods, he brings untrustworthy people to the house, and as his heroin addiction worsens, he becomes increasingly hostile. 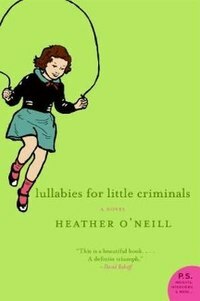 Lullabies for Little Criminals follows Baby over the next two years as she learns to navigate her world on her own. Driven by a need for belonging, Baby accepts friendship wherever offered, but in the red light district of Montreal, offers of friendship are not always what they seem. The genius of Lullabies for Little Criminals lies in its ability to portray lower-class Montreal as a place of magical wonder for Baby while making the reader painfully aware of all its dangers. Written by an author who shows obvious affection for the Dickensian surroundings, this novel is more hopeful than despondent and will appeal to readers who enjoy the writing of Miriam Toews and Marina Endicott. It’s 1943, and Glory Whitehall doesn’t know how much more she can stand. Robbie, her two year old son, is always into mischief, another baby is well on the way, and her husband’s best friend has become a permanent fixture in her household. It’s a comfort, but with Robert away at war, it doesn’t seem right. Rockport, Massachusetts is small and there aren’t that many people to talk to. One afternoon, Glory goes to the ladies’ 4H meeting and discovers that they are setting up pen pals with other war wives. She reluctantly picks a name out of a hat, “Garden Witch” of Iowa City, Iowa, and begins to write. I’ll Be Seeing You is the correspondence of two women who helped each other through the hardships of the Second World War. Glory Whitehall, once a member of East Coast society, now chases chickens and toddlers outside her cottage on the beach. Rita Vincenzi, the “Garden Witch”, is the wife of a professor who now serves as a medic overseas, and the mother of a son who has recently enlisted. Glory and Rita live very different lives, and their letters are filled with the wisdom and insight that a distanced perspective can bring. A beautiful story of resilience and friendship in wartime, I’ll Be Seeing You will hold strong appeal for readers of Margaret Leroy’s The Soldier’s Wife and Mary Ann Shaffer and Annie Burrows’ The Guernsey Literary and Potato Peel Society. After she was discovered in bed with the beautiful Nanette McDane, Rosalind Grundy had to run for her life. Nanette’s husband Jimmy was known to be cruel and violent at the best of times, and Rosalind knew she’d be gunned down or lynched once Jimmy got word of what she had done. She jumped on a horse as fast as she could, fled the wrath of the McDanes, and found sanctuary in an old chapel outside town. Inside, Roz found a tall, gaunt, ancient caballero praying the rosary, and when McDane’s men caught up with her, the caballero persuaded them to let her live. The caballero then took her under his protection, and mistaking her for a boy, invited her to follow the path of honour by joining his quest to rid New Mexico of the vile evildoers who were polluting the land with their wicked ways. The caballero introduced himself as Don Valiente, and under his tutelage, Roz became the Apache Canyon Kid. The Adventures of Don Valiente and the Apache Canyon Kid is a fresh update of the Don Quixote story, following the misadventures of Don Valiente and the Kid as they practice The Code of the Caballeros, shield the vulnerable, and seek to bring a trio of bloodthirsty killers to justice. Darkly comic in tone, this steamy, suspenseful, contemporary western is the perfect book to read with a glass of tequila in the blazing summer heat. During the summer of 1979, ten year old Joseph Jansen and his thirteen year old sister Pam moved with their mother to the other side of Texas. Joseph and his family lived in a brick house in the lush, rolling greenery of east Texas not that long ago, but now he’s marooned in a dilapidated shack in the dry, depressed land of west Texas, all because his mom claimed to want a little space from his dad. When his dad drove down for a visit, he explained that women could be like that, getting into their head that they want some change and excitement, but eventually, they would come to their senses. Joseph isn’t too sure. All he knows is that his family used to be together and now it’s split apart. Joseph’s mom Michelle doesn’t look like she’s coming to her senses. She has a new office job, there’s a light in her eyes that didn’t used to be there, and her brother has been babysitting when she goes out at night with new friends. Joseph tells his dad all about it, and when he finds out that she’s really going out with a man from work, Joseph tells his dad that, too. The response is swift, violent, and has everyone in the family evaluating both who they are and who they wish to be. The novel’s eight chapters are all named after Beatles’ songs, and something of the band’s worldview is reflected in the new life that Michelle is building for her family. A poignant coming-of-age story for both mother and son, Let it Be shows us the strength rooted in gentleness and wisdom rooted in hope. An excellent read for both teens and adults. Kellie Elmore moved to southern Tennessee when she was eight years old and has called it home ever since. It’s the sort of place where kids play on tire swings while their mothers bake pies in houses with honeysuckle around the door. In the summer, families gather on the porch to watch the fireflies twinkle in the night sky. The pace of life is slow, the ties that bind run deep, and there’s love everywhere you look. In Magic in the Backyard, Elmore has created a series of poetic sketches that shares her affection for southern Tennessee with readers everywhere. and makes her backyard magic with words. 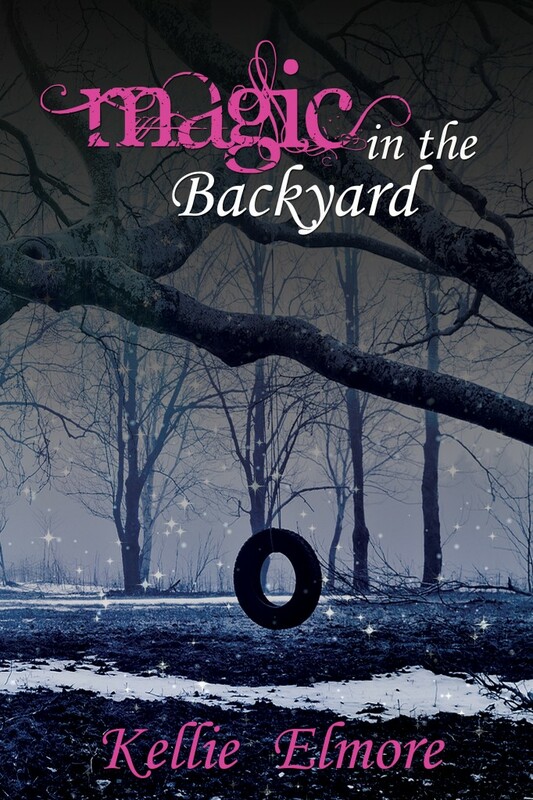 Rich with atmosphere, Magic in the Backyard invites the reader into a beautiful daydream of country drives, tumbleweed and lazy summer afternoons. It’s the perfect book to take with you to the cottage or the beach, or to open in your own backyard to escape for a few hours to the tranquility of southern Tennessee. Over the next three days, I’m posting short reviews for excellent work by self-published or new authors. 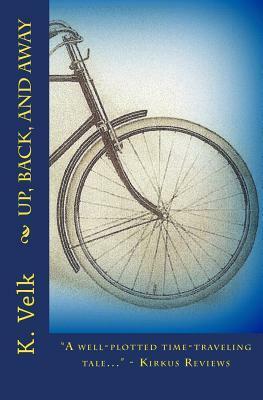 The first is Up, Back, and Away by Kim Velk, whom you can visit at http://lasthouse.blospot.com or http://quartersessions.blogspot.com. With his heart thudding in his chest, Miles McTavish looked down AshburtonMountain in Vermont and knew that there was no turning back. He perched gingerly on his vintage bicycle atop English Boy Trail carrying a note for a girl from a different time and a rock that could take him where he needed to go. He pushed off, flying down the mountain, and as he made his way towards Birch Gate, he felt a branch clip his forehead, causing him to tumble. Everything went black. When he came to, Miles McTavish was in England, and the year was 1928. Up, Back and Away tells the story of a wealthy fifteen-year old Texan boy who travels nearly a hundred years back in time to uncover a hidden truth and to rescue a girl who doesn’t belong. Along the way, he makes friends, tries to stay out of trouble, and works hard to learn the culture and customs of British country life while cleaning out fireplaces and dismantling stone walls. Up, Back and Away is a well-told tale of time travel and adventure, reminiscent in theme and style of such classics as Moonfleet, Tom’s Midnight Garden, Around the World in 80 days, and The Prince and the Pauper. This is a story to be savoured by teens and adults alike. No post this week. I’m reading through a half dozen or so promising works by new authors and will post some mini-reviews next week. Enjoy the summer sunshine and I’ll see you soon. At forty-three, Reta Winters has settled into a groove of happy living. She lives in a big Ontario farmhouse with her doctor husband, their three daughters, and a greedy Golden Retriever named Pet. When the girls are at school, she writes, mostly English translations of the French feminist Danielle Westerman, who was one of her professors years ago. More recently, however, she has tried her hand at writing novels and has enjoyed some critical acclaim. And then one awful Saturday morning, Reta’s family gets a phone call. The town librarian has spotted Norah, the daughter who is away at university, sitting on a street corner in Toronto, holding a cardboard sign that says “Goodness.” Norah’s hair is matted, she is grubby, and she refuses to speak. More importantly, she refuses to come home. She has left her boyfriend, dropped out of school, and has dedicated herself to some sort of inner quest for goodness that can only be achieved by sitting on the corner of Bloor and Bathurst. Reta’s happiness is shattered, and she applies her newly broken self to understanding her troubled, searching daughter. A celebration of language and a brilliant examination of goodness, greatness, and a woman’s place in the world, Unless continues in the tradition established by Simone de Beauvoir’s Les Belles Images. Summer camp gives kids the chance to try out a brand-new identity with new friends in a new place, if only for a week or two before returning home. For fifteen year old Julie Jacobson of the very suburban Cindy Drive in Underhill, New York, an arts camp in the Berkshires allows her to step into the cosmopolitan world of New York City teenagers who discuss the merits of Anais Nin and dream of big futures. Julie, now Jules, transforms into a wry aspiring actress in a circle of cultured, ambitious friends who refer to themselves as The Interestings, and when she climbs into her mother’s green Dodge for the long ride home, nothing is more important to Jules than becoming worthy of the name. The Interestings follows Jules and her friends from that first summer at Spirit-in-the-Woods camp through the remainder of their adolescence and their twenties to their fully established adult lives in New York City. Ethan, who drew and imagined his way out of his parents’ unhappy marriage, first fell in love with Jules but eventually married Ash. The combination of his talent and her connections led to a syndicated television show and success beyond their adolescent dreams. Although she is wildly happy for her two best friends, Jules needs a glass of wine before she can read their annual Christmas letter. It’s not that she has a bad life – she has a solid career in social work and is married to a kindhearted ultrasound technician – but she and Dennis struggle to pay the rent on their tiny apartment. And more than that, her life is fulfilling but perhaps not quite sophisticated enough to be an Interesting. The other three friends have found that their claim to the title, though solid, came at too high a price. 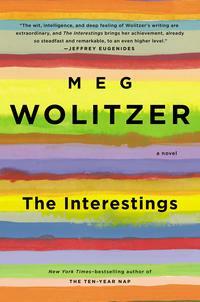 The Interestings is one of the best books I’ve read this year. Wolitzer has taken a long, hard look at the concept of the quest for success and explored its effects on integrity, happiness, and personal relationships. A must-read for those who enjoyed Jonathan Franzen’s Freedom and Penelope Lively’s Moon Tiger.